Longfonds’ corporate website was outdated and needed serious improvement. Partout d.n.a. was asked to come up with a redesign based on the recent strategic choices they’ve made. The result is a user-friendly responsive website that informs and inspires. When we started this project our first job was to gather insights. We researched trends and statistics of the current website. Together with Longfonds we also made customer journeys so we could gather insights on how could improve the current online experience. The customer journeys gave us a clear vision of the touchpoints, devices, usage of the website and expectations of the client. With all the insights gathered from our research we started sketching and wireframing. The first concepts of the lay-out, communication and interaction were founded. 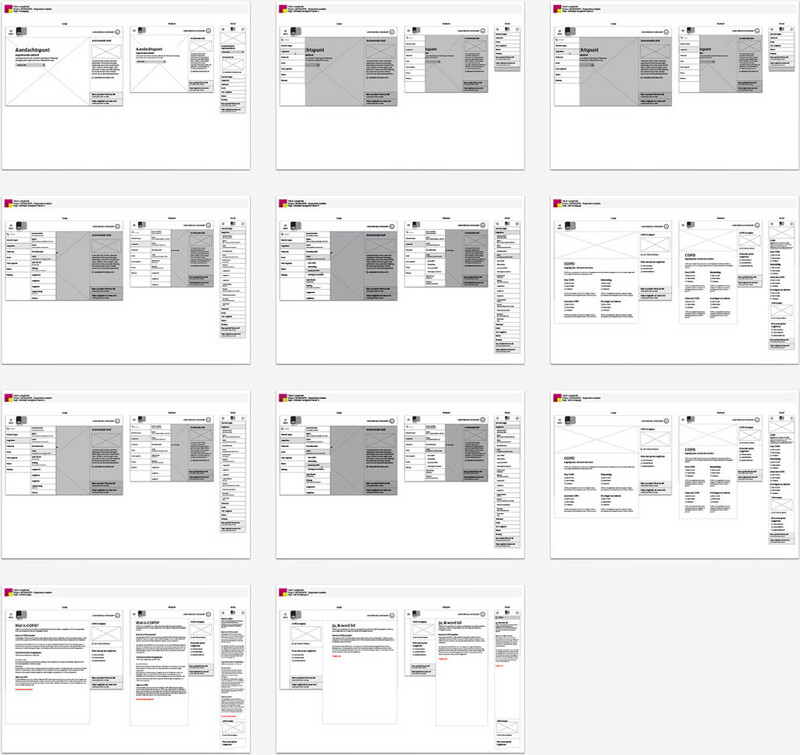 With the wireframes we took three ‘resolutions’ into account: large (desktop), medium (tablet) and small (mobile) to make sure everything would work out great on all devices. 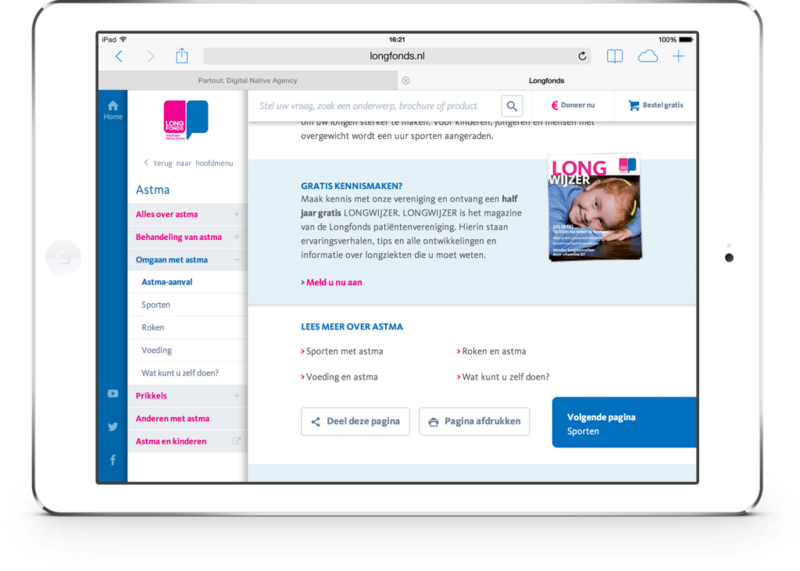 The website of Longfonds contains hundreds of pages with informative content. How are we going to provide access to all of this rich content? We developed an intuitive navigation to get the best information architecture possible. We ditched the old mega-menu and transformed it into a clear and user-friendly experience. The user can now browse the website without feeling lost or overwhelmed with menu items. 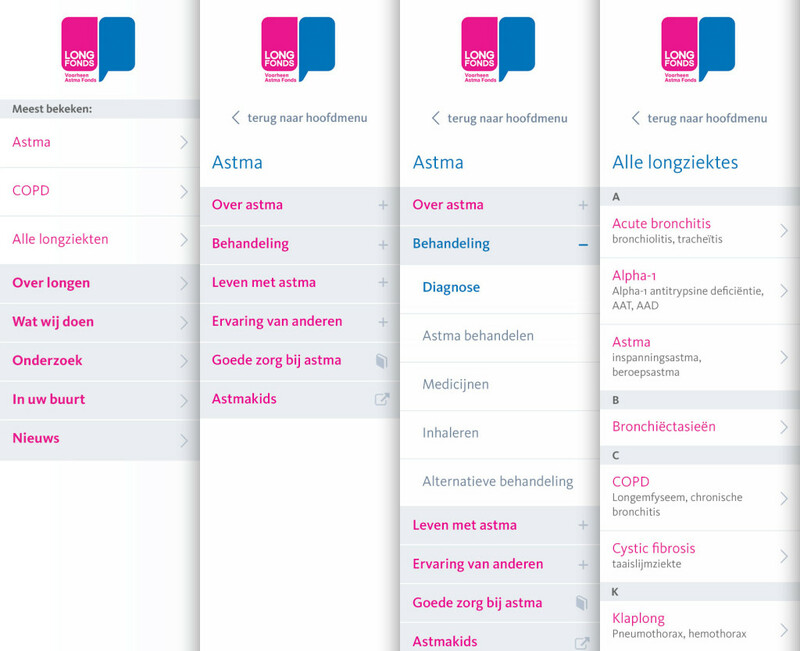 Throughout the website, Longfonds offers several inspiring and relevant utilities for the user. But for a good cause it’s also important to increase the number of donations. We designed call-to-actions in such a way, that they feel like they belong to the content. They really add value to what the user is experiencing. 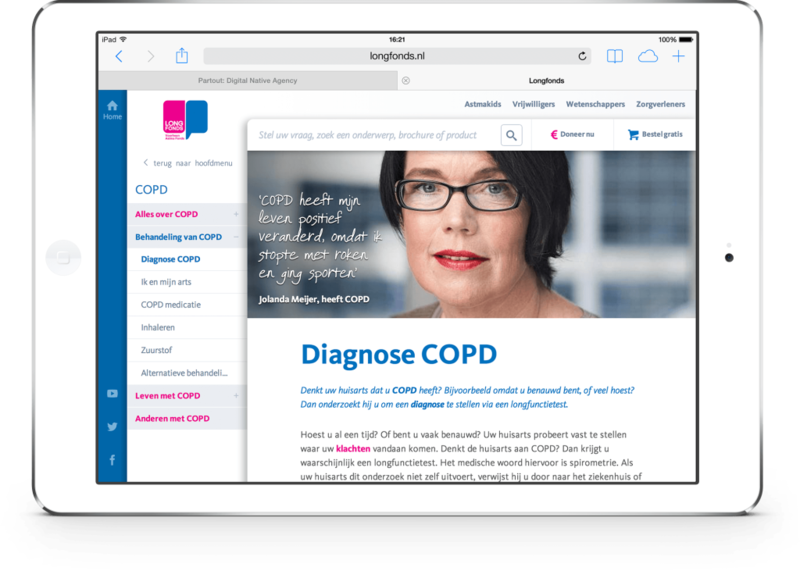 The new website of Longfonds isn’t about new technologies or the fact that it’s responsive. It’s about people. People that have a lung disease. Or people that are friends/family with somebody who has a lung disease. Lung diseases are a serious subject. To show the user that Longfonds cares, we added the possibility for Longfonds to add quotes in the header image or content page. Our usability test showed that the story of a real patient is really valuable for the user. Designing the website for Longfonds wasn’t just done in a day. We’ve put a lot of thought in how everything should work, look and feel. But we didn’t just do this by ourselves. Together with Valsplat we setup a user test with users from all profiles and backgrounds. We tested every single detail of the interface on desktop, tablet and smartphone just to make sure the website is an experience the users will love. Thanks to the user test, we gained a lot insights and we made major improvements on the design.